Here's our collection of traditional Irish recipes made vegan and vegetarian. Perfect for a vegetarian St. Patrick's Day celebration! 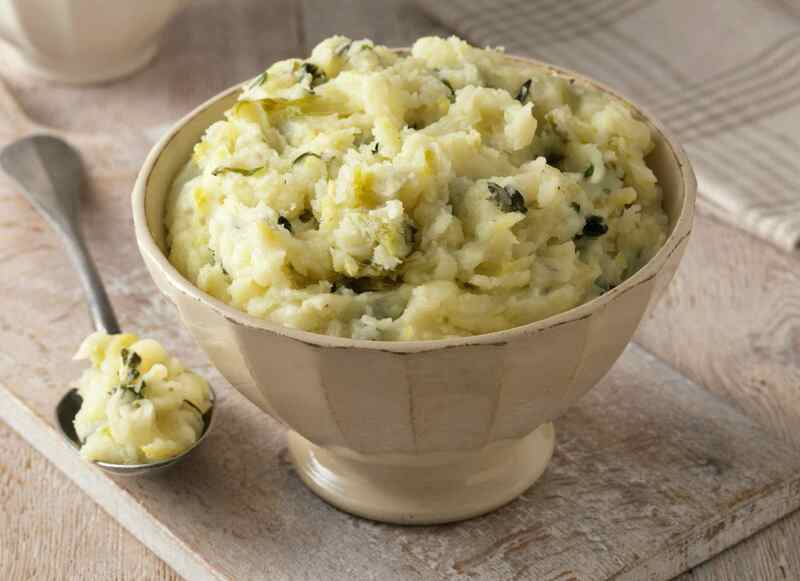 Colcannon is a traditional Irish side dish, and this version is both vegetarian and vegan. Make this recipe for St. Patrick's Day, or any day that you are longing for a wee taste of Ireland. Or, if you prefer, try this vegan Irish colcannon recipe which uses kale instead of cabbage. Not as traditional, but still tasty, and full of nutrient-rich kale greens. We call this Irish recipe "happy" because it calls for just a bit under 12 oz of beer, meaning you need to take a sip before using. Careful, just a taste! A vegan beer bread recipe perfect for St. Patrick's Day! Beef and Guinness stew, an Irish pub favorite, gets a vegetarian makeover in this vegetarian "beef" and beer stew recipe, using seitan instead of beef to absorb all that rich stout flavor. Yum! The flavor of the beer is very strong in this recipe, so I suggest using half the amount of Guinness and adding an equal amount of vegetable broth if you aren't a Guinness fan. If you're keeping to a pure vegan diet, note that Guinness is made using some animal products in the refining process, so it isn't technically vegan. No Irish meal would be complete without a bit of spirits, right? With just a few simple ingredients, this recipe for a non-dairy vegan Irish coffee is the perfect end to your meal, or the perfect start to a lively evening! Though the combination of apples and potatoes may seem odd at first, this simple recipe for apple mash is surprisingly flavorful and sure to please. Add this easy-to-prepare vegetarian and vegan dish to the menu for your meatless Irish or St. Patrick's day event.